Static plant recycling equipment offers high production output at a fast, efficient rate, meaning it is perfect for established recycling plants, or those with lots of space for waste processing. 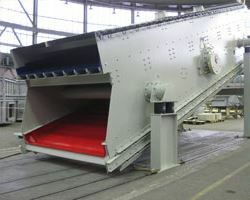 Larger static plant machinery offers the benefits of continuous, high-volume waste processing. 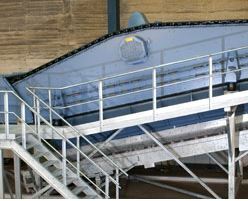 This means your business can maintain a constant flow of waste processing, whether through a screener or trammel. If you require primary, secondary or tertiary crushing, you’ll find large plants and machinery, such as jaw and cone crushers, offer a higher tonne-per-hour output and are able to exert stronger pressure than smaller, compact crushers. RG Recycling can source and supply all kinds of new and used static plant equipment, as well as used mining machinery, such as stone crushers. Whether you want a state-of-the-art McCloskey Bivitec B200, or a used Parker vibrating screen or Nordberg Lokotrak Senator screening plant, we can fully equip your mining, quarry or other processing plant. We offer a range of buying and leasing options for all our static plant equipment, which you can be sure will always meet with the highest quality standards. If our current stock doesn’t include the machinery you’re looking for, we will source the perfect plant for you from our many contacts in the mining and industrial machinery industry. If you’re looking to buy or lease new static plant for your site, it can be a headache trying to remove and sell any old waste processing equipment you no longer have any need for. At RG Recycling, we can take away this problem, and will work with you to remove and sell any old static plant that you don’t require. Contact us now to find out more about how we can help you and your business.